Be a United States resident 18 years of age or older. Have at least the equivalent of an eighth grade education. Be familiar with duties and responsibilities of a Notary Public and not have an unacceptable arrest or conviction record. Obtain a $500 four-year notary bond. Note: An applicant DOES NOT need to be a Wisconsin resident and does not need to be a U.S. citizen. Applicants must submit the Wisconsin notary application form, a $20 filing fee (payable to Wisconsin Secretary of State), a completed bond form, and oath of office to the office of the Secretary of State. After your application is processed, the Secretary of State sends each applicant a certificate indicating that you have been commissioned as a Wisconsin notary public, along with the expiration date of that commission. Upon receiving your commission, the applicant can start notarizing. Commissions are granted shortly after all materials are received by the Secretary of State’s office. If a notary public needs to renew their commission, paperwork should be submitted a few weeks prior to the expiration date of your current notary commission. In my experience, there are insurance companies which you can call, and they will bond you and send you all of the necessary paperwork. If anyone needs the name of an insurance company who does this, please contact me, and I will give you the info. I would also advise not waiting until the last minute to fill out the necessary paperwork because there is a waiting period after you have submitted it. Having attended the Stenograph Forum in Savannah, I’d like to share with you some of the interesting information imparted to us from John Wenclawski and Fred Middlebrooks. Did you know??? Enrollment in court reporting schools has dropped. There are now 84 court reporting schools in the country, with about 8,700 students. In the early ‘90s, there were 20,000 students. Thus, the number of machines sold to schools has also dropped. – Number of Diamante machines sold: 5,647 Professional models and 1,134 student models. Have you considered replacing your writer? Diamantes have been on the market for 2-1/2 years. Over 6,000 have been sold. All the kinks are out. Stenograph generally has a seven-year cycle for new machines, so this is a great time to invest in a Diamante. Stenturas were introduced 19 years ago. At the end of this year, there will be no more trade-ins for Stenturas. On the Diamante horizon: more WiFi features, brief it, shorter stroke, 2.0 coming, make J Defines on writer. They will go to your CAT system and vice versa. Routers will be replaced with a virtual router, which will work with Diamantes and Miras. WiFi features do drain the battery at a faster pace, so a high capacity battery is now available. YOUR WRITER IS A PRODUCTIVITY TOOL. KEEP IT UPDATED, JUST LIKE YOUR SOFTWARE. Visit www.stenograph.com to update your writer. The average age of a court reporter is 48 years old. Yikes!! This not only affects a company such as Stenograph, who markets to court reporters; but it also affects all of us court reporters out in the field. 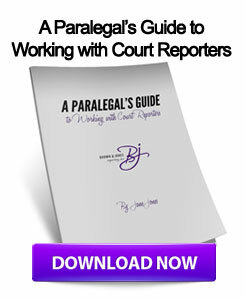 We need new court reporters in the profession if our industry is to remain viable. Stenograph is trying to solve this problem by opening the Prince Institute, which is comprised of three court reporting schools in Westminster, Colorado; Montgomery, Alabama; and Schaumburg, Illinois. 60% of the students at Prince take their classes online. 24 students have graduated from Prince this year. Case CATalyst Version 12.51 is available, along with the E-Key. Too many reporters have not yet taken advantage of the E-Key. All of the STAR attendees in Savannah agreed that the E-Key is great, so get going. Call Stenograph and get it. You will now be able to update it automatically, and it can be loaded on three computers; however, you cannot use it simultaneously on more than one computer at a time. If you get the E-Key, you will be able to keep it, even if you do not continue to update your software on a yearly basis, which I do not recommend, by the way. CaseViewNet: Free software product to attorneys – Realtime viewer. Version 2.6.0. Starting page number will reflect the starting page number in CaseCATalyst. CV Net training video clips are available on the Stenograph website. Will we ever get Case CATalyst on an IPad? Not in the foreseeable future. It’s a different operating system. Is Stenograph still offering new computers with CaseCATalyst loaded? No. There was not enough demand, so it is no longer offered. It is sometimes difficult to get Stenograph to make a recommendation when we are in the process of buying a new computer, but Fred Middlebrooks gave us some advice. If you are purchasing a new computer, Windows 7 Professional is recommended. Don’t go to Best Buy for your new computer. CDW, Computer Discount Warehouse, was mentioned as one possibility. Fred recommended three computers: Toshiba Tecra, Sony Vio, and Acer Travel Pro. The Acer has two different keyboards, so make sure you check into that before buying. Well, that’s all for now. I hope some of this information was useful to you. Thanks to John and Fred for a wonderful presentation! Please consider coming to the Las Vegas STAR Convention in March. You’ll never leave without learning something, you’ll meet new friends and business acquaintances, and you can have a great time in Vegas! There’s gambling, shopping, superb food and great shows; something for everyone. If you have any questions about STAR membership, please contact me. I’d love to talk to you. PUBLIC NOTARIES | What Is A Notary Public? A responsible person appointed by state government to witness the signing of important documents and administer oaths. To deter fraud. An impartial witness (the Notary) ensures that the signers of documents are who they say they are and not imposters. For a document to be notarized, it must contain: 1) text committing the signer in some way; 2) an original signature (not a photocopy) of the document signer; 3) a notarial certificate which may appear on the document itself or an attachment. The Notary Public fills in the certificate, signs it, and then applies his or her notary seal to complete the notarization. The Notary will ask to see a current identification document that has a photograph, physical description and a signature, such as a driver’s license, military ID, or passport. HOW MUCH DO NOTARY SERVICES COST? Fees vary. As much as $10 in some states and as little as 50 cents in others, according to state law. DOES NOTARIZATION MEAN THAT A DOCUMENT IS TRUE OR LEGAL? No. Notaries certify the identity of the signer. The signers are responsible for the content of the documents. MAY A NOTARY GIVE LEGAL ADVICE OR DRAFT DOCUMENTS? Only if the Notary is uncertain of a signer’s identity, willingness, or general competence, or has a good reason to suspect fraud. Discrimination on any basis is not a suitable policy for a public official. WHERE DO I REPORT ILLEGAL OR IMPROPER ACTS BY A NOTARY?